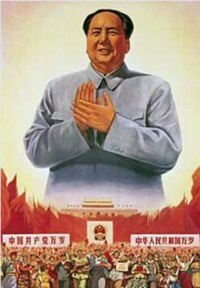 The Chinese Government has added a blanket ban on all RSS feeds, according to a report at Ars Technica. There have been reports previously that Feedburner feeds have been blocked, but to-date information delivered by RSS feeds has generally gone uncensored, providing Chinese viewers information that would otherwise be blocked if attempting to visit a regular webpage or blog. A quick test of WebSitePulse’s Great Firewall testing tool indicates that the TechCrunch feed is blocked. The number of broadband internet users in China will surpass the United States within the next 12-18 months; China is fast becoming one of the most important online marketplaces in the world. Whilst some could well argue about the rights of a sovereign nation to censor content within its own borders, the more pressing issue from a Web 2.0 development and industry perspective is the use of the Firewall by the Chinese Government to unfairly block foreign competition, particularly at a time where the Chinese Government is trying to start, or is already in Free Trade Agreement negotiations with a number of countries, including Australia. There is also some suggestion that China will enter an APEC FTA in the future: would it then be fair that online industries are either excluded from the FTA or that access rights are ignored by China under those agreements? Western Governments are still generally not focused enough on the benefits of online business in a broader economic sense, so unless there is some serious lobbying, or more understanding leadership, our industry will likely be forgotten in the clamor for mineral, industrial and agricultural trade.